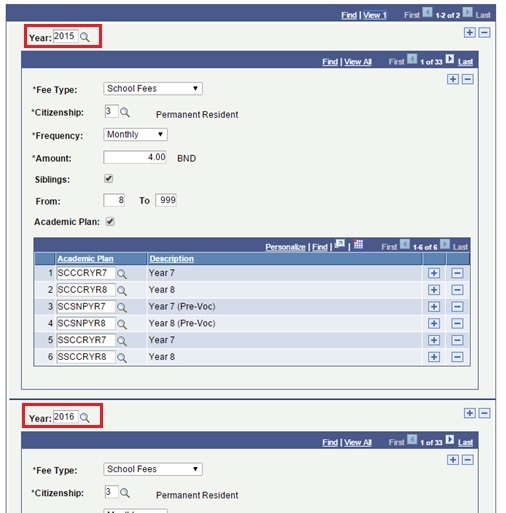 This function is important to review and update on a yearly basis as it consists of various charge criteria for the students in a particular school. This rollover document should giude you on how to copy over the information from the previous year to the next. Note: Changes can be made to the details in the page if necessary. On the Find an Existing Value tab, enter the values in Business Unit field. Then click on the Search button. 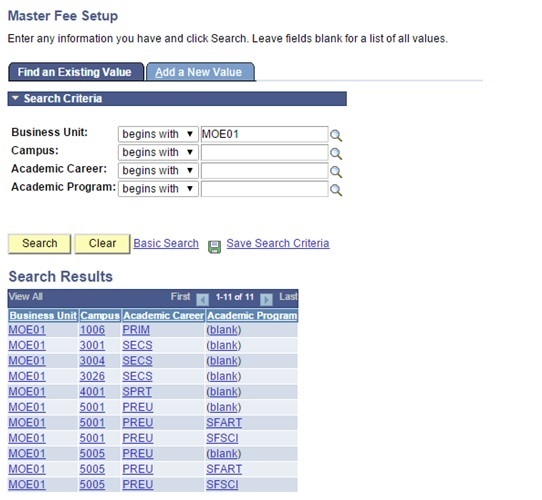 The result shows a list of Campus codes, its respective Academic Career and Academic Program. Click on the relevant search result. 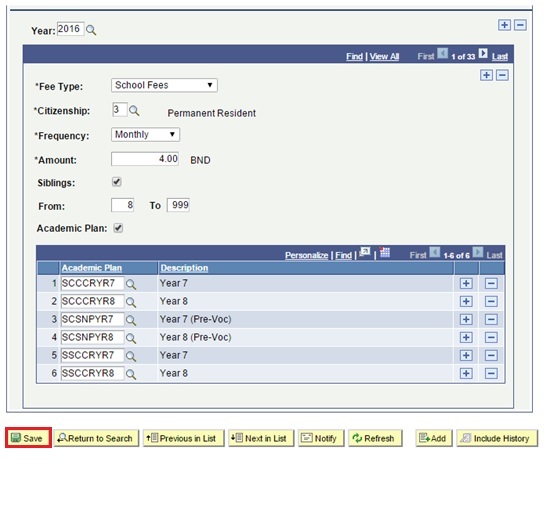 In this example, we will select Campus 3001. 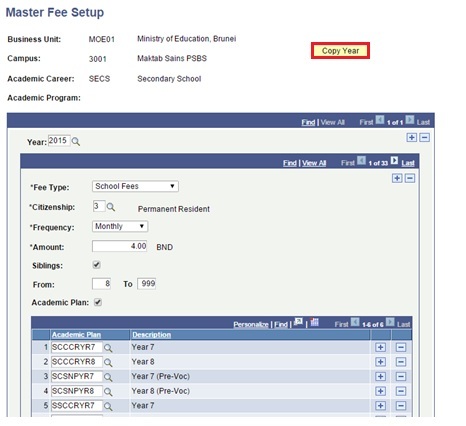 You will be directed to Master Fee Setup page for Campus 3001. Click on the Copy Year button. 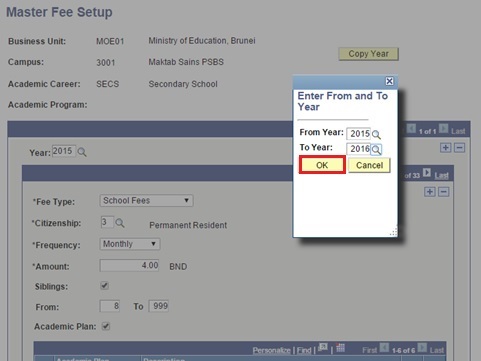 A prompt box will display Enter From and To Year fields. Enter the fields as required and click on the OK button. Note: Use the Magnifying Glass icon to search for the required year. Click on the View All link to view all the existing rows of records. The year 2016 should be added to the second row. Note: All the information from the Year 2015 should be copied over to the Year 2016.